Bobo Yeye – Belle Epoque in Upper Volta From his studio in central Bobo-Dioulasso, photographer Sory Sanlé documented a nation’s transformation from colonial foothold to cosmopolitan oasis. Bobo Yeye: Belle Epoque in Upper Volta provides an intimate look into the landlocked nation’s pop culture explosion of the 1970s. A melange of community elders and emboldened youth spill from the brightly lit confines of Sanlé’s Volta Photo into the dimly lit nightclubs of Upper Volta’s cultural capital. Accompanying this hardbound monograph are dozens of rare and evocative recordings spread over three discs by Bobo-Dioulasso’s musical titans: Volta Jazz, Dafra Star, Echo Del Africa, and Les Imbattables Léopards. Luna – Long Players 92-99 The Luna Long Players Box Set gathers the band’s five albums from the 90’s as well as a compilation of demos and B-sides recorded contemporaneously. They are all housed in a beautiful textured canvas box. Accompanying the records is a 12″ x 12″ book featuring archival imagery, an interview with Dean Wareham conducted by Noah Baumbach, and an oral history with the band and their producers. As the majority of these records were never released on vinyl outside of limited pressings, this is a boon to longtime fans and new listeners alike. Soft Hair – Soft Hair Soft Hair are Connan Mockasin and Sam Dust (LA PRIEST / Late of The Pier). The album’s recording took place over five years around the pair’s solo careers and outside lives. After the dispersion of Late of the Pier, whom Connan supported on tour in 2009 (the first time the two met), Sam traveled in the far east, Africa, Europe and elsewhere, spending time inventing his own instruments, producing and directing. Eventually re-emerging as LA PRIEST in 2015 with debut solo album Inji. Connan meanwhile released the albums Forever Dolphin Love and Caramel and toured the world extensively, working with artists such as James Blake, Charlotte Gainsbourg and Vince Staples. The songs on this album were written and recorded in a wide array of locations using methods that neither Mockasin nor Dust had used previously. As a result, the record gives the listener a view into an exotic world with a blend of familiar, unfamiliar and unconventionally attractive sounds. Bobby Womack – Womack Live! 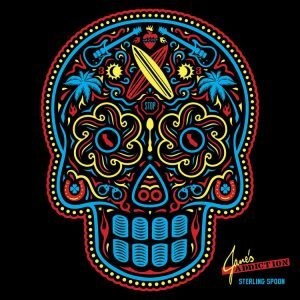 Jane’s Addiction – Sterling Spoon Limited Edtion of 5,000 on 180g vinyl. This set Includes, Nothing’s Shocking (1LP), Ritual de lo Habitual (2LP), and the vinyl debut of Live from the Palladium (1990) (2LP). It also contains Selections from Kettle Whistle (demos and rarities) (1LP) and original art by Ernesto Yerena. 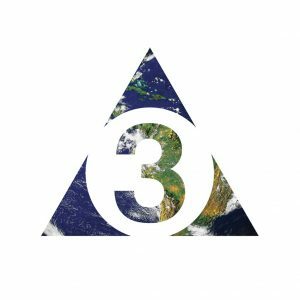 Axis: Sova – Motor Earth A meeting of the reptilians and the beast within — the good, odd vibes resonating in late nights and the blown-ear mixes, this time with a band and with a wider tape head: the fractured togetherness of us all revolves on Motor Earth! 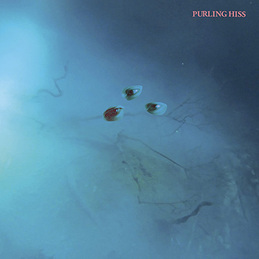 Purling Hiss – High Bias The rock we need meets the rock we deserve, with popular music to keep spririts (and bias) high for the coming stretch of unexplored darkness wasteland ahead. Soundtrack – Return of the Living Dead 2 versions; red/black vinyl and gray brains vinyl. Marianne Faithfull – No Exit To mark her incredible half century as an artist, Marianne Faithfull returned to the stage for a world tour in 2014. This audio album presents some highlight performances of her outstanding work. To complement these recordings, the video provides a full concert of one of the most charismatic artists in contemporary music, rounded up by four bonus tracks from her already legendary “Give My Love To London”- show at the Roundhouse, London, in February this year. Goat – Requiem In a culture obsessed with content, saturation, and continual exposure, it’s rare to find artists who prefer to lurk outside of the public eye. Thomas Pynchon is perhaps the most notable contemporary recluse—a virtually faceless figure who occasionally creeps out of hiding to offer up an elaborate novel steeped in history and warped by imagination—but for crate diggers and guitar mystics, Sweden’s enigmatic GOAT may qualify as the greatest modern pop-culture mystery. Who are these masked musicians? Are they truly members of the Arctic community of Korpilombolo? Are their songs part of their isolated communal heritage? Their third studio album, Requiem, offers more questions than answers, but much like any of Pynchon’s knotty yarns, the reward is not in the untangling but in the journey through the labyrinth. Western exports may have dominated the consciousness of international rock fans for the entirety of the 20th century, but our increasing global awareness has unearthed a treasure trove of transcendental grooves and spellbinding riffage from exotic and remote corners of the planet. 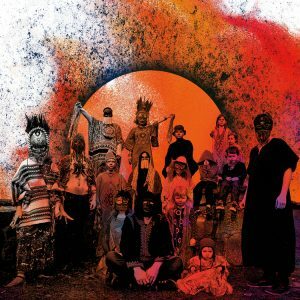 GOAT’s previous albums World Music and Commune were perfect testaments to this heightened awareness, with Silk Road psychedelia, desert blues, and Third World pop all serving as governing forces within the band’s sound. But GOAT’s strange amalgam isn’t some cheap game of cultural appropriation—it’s nearly impossible to pinpoint the exact origins of the elusive group’s sound. The fact that they pledge allegiance to a spot on the periphery of our maps bolsters the nomadic quality of their sonic explorations. With Requiem, GOAT continue to rock and writhe to a beat beholden to no nation, no state. GOAT’s only outright declaration for Requiem is that it is their “folk” album, and the album is focused more on their subdued bucolic ritualism than psilocybin freakouts. But GOAT hasn’t completely foregone their fiery charms—tracks like “All-Seeing Eye” and “Goatfuzz” conjure the sultry heathen pulsations that ensnared us on their previous albums. Perhaps the most puzzling aspect of Requiem comes with the closing track “Ubuntu”. The song is little more than a melodic delay-driven electric piano line, until we hear the refrain from “Diarabi”—the first song on their first album—sneak into the mix. It creates a kind of musical ouroboros—an infinite cycle of reflection and rejuvenation, death and rebirth. Much like fellow recluse Pynchon, rather than offering explanations for their strange trajectories, GOAT create a world where the line between truth and fiction is so obscured that all you can do is bask in their cryptic genius. Moondoggies – Don’t Be A Stranger Seattle’s Moondoggies play timeless American music. Warm three-part harmonies, gothic Rhodes organ, and wanderlust guitar mark a sound rooted in boogie blues and cosmic country. Whipsmart songwriting leads to hook-heavy tunes that bristle with originality. Shades of gospel, blues, rock, and country commingle, and wall-of-sound harmonies radiate joy and passion. The influences of The Band, The Byrds, and especially early Grateful Dead are evident, though The Moondoggies’ lyrical economy and compositional sensibility render these tracks fresh and unique. 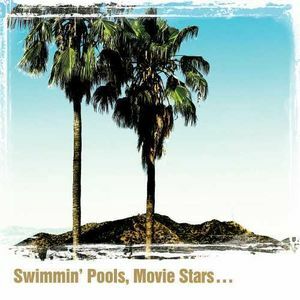 Dwight Yoakam – Swimmin’ Pools, Movie Stars… Dwight developed a love for bluegrass music at an early age, and for years has wanted to record an all bluegrass album. The songs for this album are new interpretations of classic Dwight songs plus a John Prine track that Dwight loves, and a very unique cover of Prince’s “Purple Rain.” The album includes four of Dwight’s past Billboard Top 100 Country tracks: “These Arms,” “Gone,” “Guitars, Cadillacs,” and “Please Please Baby,” all reimagined with a bluegrass treatment. Various – Lonesome, On’ry & Mean, A Tribute to Waylon Jennings First-ever vinyl pressing of Lonesome On’ry and Mean: A Tribute To Waylon Jennings featuring Guy Clark, Norah Jones, Robert Earl Keen, Kris Kristofferson, Henry Rollins and more. Posted on Wednesday, October 5th, 2016 under New Releases. You can follow any responses to this entry through the RSS 2.0 feed. You can leave a response, or trackback from your own site.